Early 20th century America usually conjures up images of blue collar conformity, the great depression and other sterile visions of historical Americana. But look no further to shatter that image than the strange tales of John Whiteside Parsons, better known as Jack Parsons. What's communism, the teachings of Aleister Crowley, the Golden Age of Science Fiction, NASA and Bohemian free-love colonies got to do with each other? Jack Parsons. On the peripheries of cutting edge science, when most respected academics considered rocketry a foolhardy pseudoscience resigned to pulp magazines, Jack Parsons would go on to revolutionize and blast the science into existence. 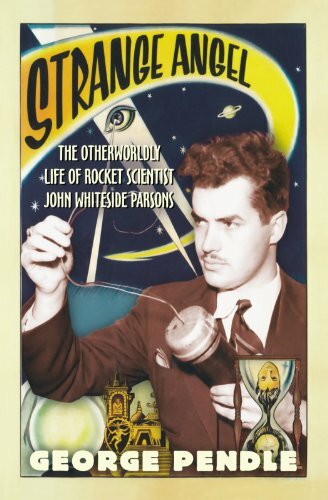 Reading as a who's who of the time, "Strange Angel" charts the history of Parsons as he develops the burgeoning science of rocketry and falls deeper into his study of black magic. Between corresponding with Wernher von braun and Aleister Crowley and his friendship with L. Ron Hubbard, Parson's story is one that has to be read to be believed. 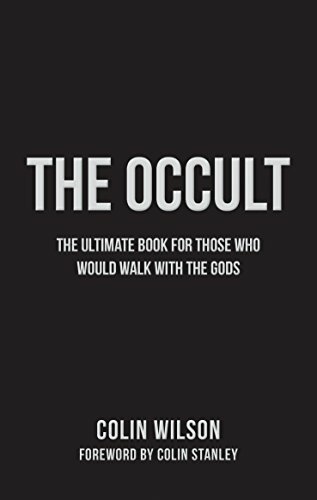 Colin Wilson attempts to take a sobering historical viewpoint of the various iterations of the occult. Most of the book is spent exploring the extraordinary powers of human beings that have been reported over the years. Many of these claims are unsubstantiated. Wilson develops an argument that humans possess abilities that are beyond the range of our regular capabilities but lay dormant because we can't stay hyper-focused on them in our modern age. With an open-minded yet skeptical view, Wilson navigates the choppy waters of mystical pronouncements of advanced human powers and cites events during the Egyptian era to the time of Pythagoras. 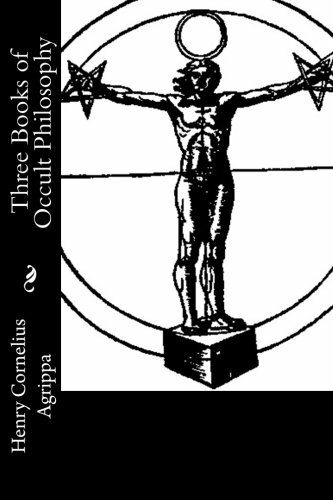 Getting into the more nitty-gritty and arcane works, Cornelius Agrippa's "Three Books of Occult Philosophy" are voluminous books that contain a great deal of far-out renaissance magical practices and paeans. The book is heavily annotated, which makes it more understandable for the modern reader. At a time when science and magical thinking were almost one in the same, Agrippa's book serves as a foundational reading for any scholar or would-be revival magician that want to have a better grasp on this ancient mystical tradition. Agrippa splits the discourse of magic into three broad books on the natural world, the intellectual world and the divine world. 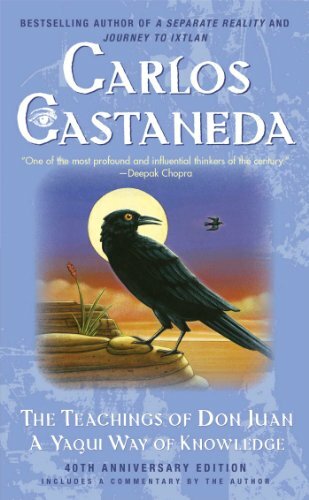 Originally written as a work of anthropology and a major thesis project for Carlos Castaneda, the book is now considered widely by critics to be a work of mystical fiction. It documents the events that took place between Carlos and a Yaqui sorcerer named Don Juan Matus. Supposedly, this happened between 1960 and 1965. It has become a spiritual book in the New Age canon with a whimsical and intriguing philosophy that has drawn parallels to Eastern spiritual books. 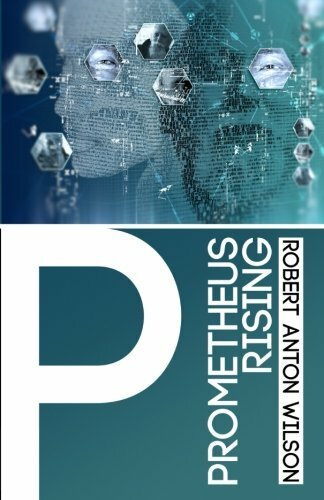 "Prometheus Rising" is a playful pop-psychology book written by none other than Robert Anton Wilson. Cult-favorite fiction writer and creator of the modern day Illuminati myth. The book is a loosely strung together reading of the late Timothy Leary's eight neurological circuits with exercises at the end of each chapter. Robert Anton Wilson considers this a work of "guerrilla ontology," and as a level-headed reader, you won't know what to consider real or unreal. Wilson's big push is for the reader to question what he calls their "reality tunnels." He hammers in the point that "what the thinker thinks, the prover proves," which is in a way a meditation on how thought can either be extremely limiting or illuminating. The myth and legend of Aleister Crowley has intrigued many. There have been claims that "the wickedest man in the world," was a covert British spy or something else more sinister to both conspiracists and Christians alike. The Beatles got a kick out of him, put him on the cover of "Sgt. Peppers' Lonely Hearts Club Band" and considered him an influential thinker. Crowley was many things: a decent poet, mountaineer, black magician and failed founder of a religion. Writer Israel Regardie served as his secretary for a few years. For those who've already heard of Crowley, Regardie wanted to paint a more humane and fuller picture of the man, one that didn't present him as some psychotic evil maniac or spiritual satanic guru. 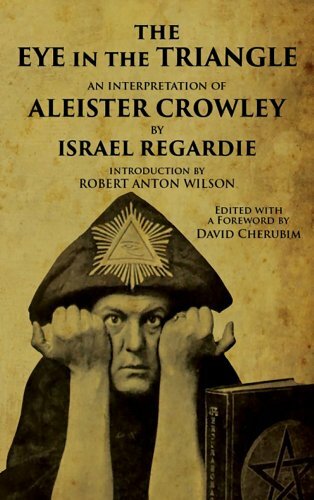 Although the biography is biased, it adequately covers the occult exploits of Crowley while providing a synopsis of the spiritual practices Crowley developed.